This quality built 3 bedroom duplex is only minutes from the expanding retail precinct of Central Lakes shopping Village. The property is newly finished with quality inclusions and will suit those with a busy lifestyle looking for all the modern conveniences in a low maintenance environment. Located in a quiet estate with direct easy access to shops, schools, hospital, QUT Caboolture Campus and the Bruce Highway. 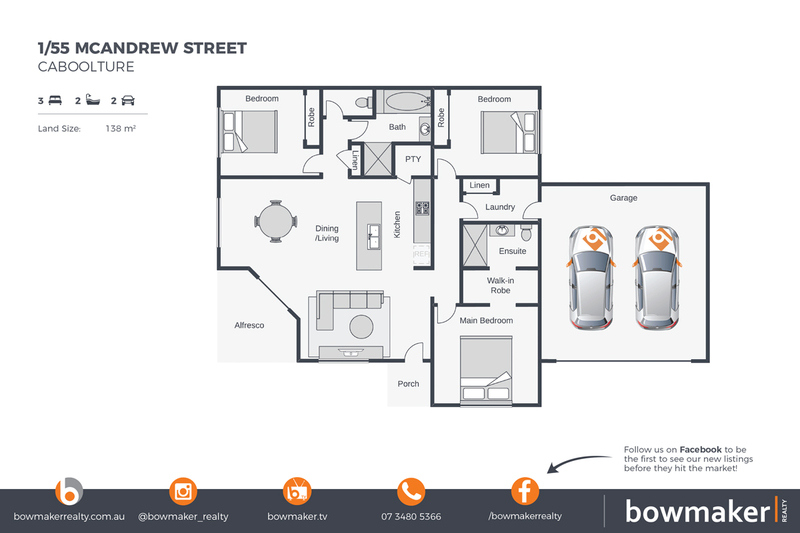 Centrally located to local shops, schools and the hospital and with easy access to both Brisbane and the Sunshine Coast with the Bruce Highway only minutes away. Please contact our office to book an inspection.